Fair rides have a basic function: to thrill and scare the living tar out of occupants by spinning, dropping, and launching them through the air. They’re all sorts of fun, but someone has to ensure they’re in good working order. It’s no small task. In 2015, more than 255,000 people lined up for thrills and adventure at the Elkhart County 4-H Fair. Phil Wogoman was there, too. He had a job to do, the same one he performs every year: making sure everyone stays safe — on the rides or anywhere else on the fairgrounds. Wogoman has been part of the fair much of his life. He was in 4-H during his youth, and participated in archery and Saddle Club activities at the fairgrounds. “I’ve just always loved the fair,” he said. In addition to his fair duties, Wogoman is active in the Goshen business community. He and his wife, Sharon, co-own Middlebury Electric and Eagle Ready-Mix. Wogoman grew up in the Goshen area. He had an early interest in aviation, and at age 15 took flying lessons at the Goshen Municipal Airport. After a short stint of college, Wogoman became a flight instructor in Ohio (the birthplace of aviation, of all places!) for two years. Wogoman worked in the construction industry after he moved back to Indiana. He had an entrepreneurial spirit, and started Middlebury Electric in the garage of his Middlebury home in 1971. “It started off with just me, then I had a guy working part-time for me,” Wogoman said. The business grew from there. 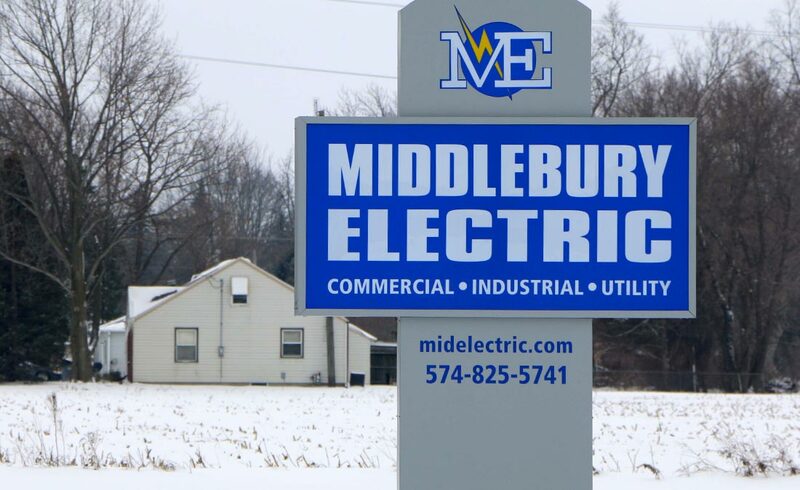 Now headquartered in Goshen, Middlebury Electric provides commercial, industrial, and utility electrical services throughout the Michiana area. 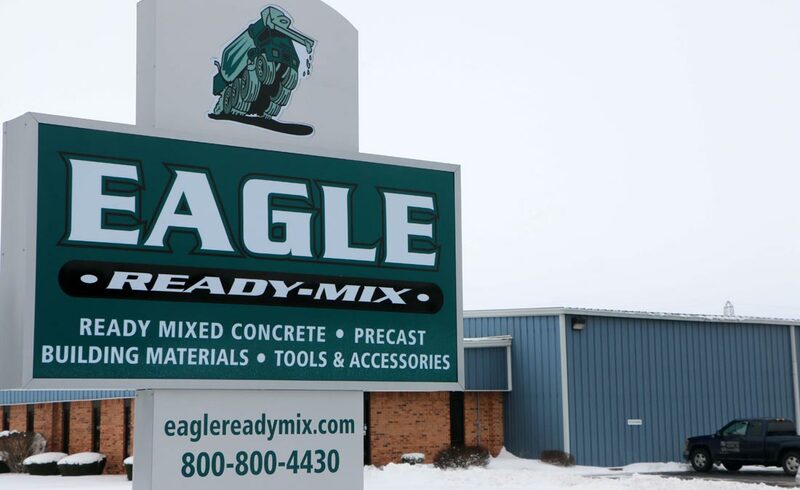 Twenty years after the birth of Middlebury Electric, Wogoman launched another fledgling company, Eagle Ready-Mix. The family-owned and operated concrete supplier serves north-central Indiana and southwest Michigan. The concrete industry is part of Wogoman’s family history. One of Goshen’s historic entrepreneurs, Lewis Fidler, started a sand and gravel business in 1946. In 1955, he purchased a ready-mix concrete company. Wogoman’s father and uncle were Fidler’s first two employees in the concrete business. As a young man, Phil worked part-time in the gravel pit during the summer. Wogoman believes that the Goshen-area economy — particularly the growth and success of the recreational vehicle sector —has been good for his businesses. “Both companies do a lot of work for the RV industry,” Wogoman said. His companies provide lighting in building additions and parking lots, concrete for the lots, etc. Wogoman sees the Goshen area as home to many quality businesses, as well as people who know how to run them. He appreciates his many loyal customers, and repays that loyalty with service. Wogoman is also always there for the Elkhart County 4-H Fair, rain or shine. 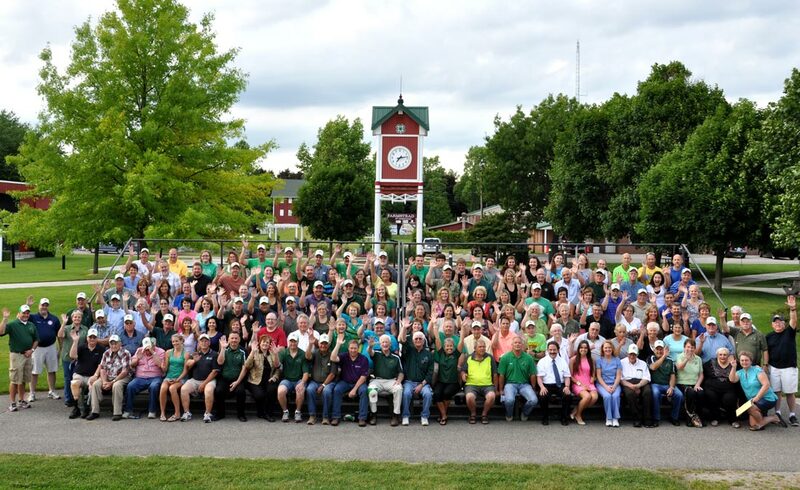 The Elkhart County Fair Board is a group of more than 120 community volunteers who, along with paid fair staff and Purdue Cooperative Extension Service staff, oversee all aspects and operations of the annual festival. Wogoman joined the board as an electrician in 1988. Sharon Wogoman is on the board, too, as director of gate admissions. 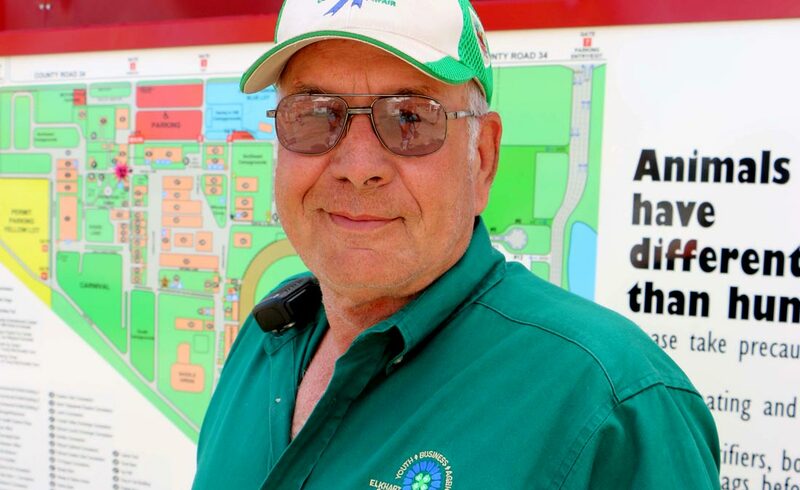 Wogoman served as president of the fair in 1999, and has been the fair’s safety director for the past 10 years. So, what does a safety director’s job entail? In part, it means learning and implementing the latest technology to monitor weather, and getting the word out to fairgoers when the weather turns threatening. It also means being the one who “makes the call” on whether to shut down a fair concert, or maybe the entire fair, when a dangerous storm approaches. In 2014, Wogoman oversaw a project that further enhanced safety: the addition of an emergency broadcasting system at the fairgrounds. The only way to broadcast emergency messages prior to that addition was via the fair’s PA system, which can be difficult to hear on the midway or in a livestock show arena. Elkhart County emergency dispatchers can set off the fair’s warning sirens during severe weather. The sirens also have a “voice-over” component, and Wogoman can make announcements on the system from his smartphone, if need be. Enjoy the riding the fair’s Ferris wheel or tilt-a-whirl? You can thank Wogoman for keeping you safe: He personally inspects each and every ride before the fair opens. “I go through and look at the maintenance records on the equipment,” he added, taking note of any factory recalls or other safety issues. Every year, Wogoman does his part for the fair that’s been part of his life for decades. He cites several reasons the fair has been so successful. One is the focus on 4-H, the “learn by doing” program that is America’s largest youth development and mentoring organization. 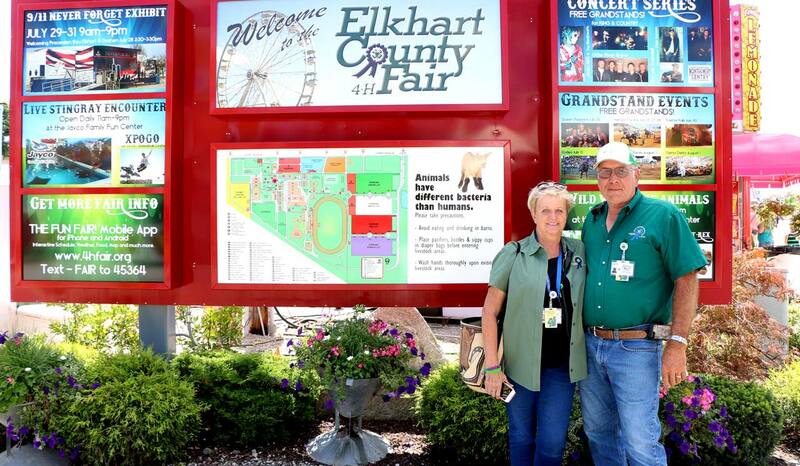 Thus far in 2016, 3,556 Elkhart County youth are enrolled in 4-H.
Wogoman also points out that, with the size of the volunteer fair board, members can specialize in their tasks. Add to those positives the level of community and business support for the fair.